Who doesn’t love a good murder mystery? …it’s even better when you get to write one with friends. WCYR Chair, MJ Moores, is tapping into her teaching expertise to bring together a fun and interactive workshop where participants get to make practical use of various WCYR seminars from the past 18 months using the murder mystery genre as a framework for writing. Remember the fun activities from “Kindle Your Creativity” with Gwynn & Ruth? What about “World Building” with Heather, and “Saggy Middles” with Wanda & Mary? Using Daniel’s guidelines for “making them wonder” and taping into what we discovered during our Q&A with the York Region Police, we will develop “Compelling Characters” using tips and tricks not only from Ibi’s workshop but everyone’s… because it’s time to put what we’ve learned in practice. Over two hours, participants will work on their own and in small and large groups toward the goal of outlining-with-details a collective creation. We will be task-oriented with clear writing goals for each stage as we build our very own murder mystery. In the end, MJ will collect all of the “group approved” outlines and showcase them on the Easy Writer blog to celebrate our growth, learning, and teamwork. Come prepared to write, brainstorm, and laugh as we prove to ourselves that, yes, we can do it. Workshop will be on June 9th, 2019 at from 1:00-4:00pm at the Ray Twinney Recreation Complex. Pre-registration end June 7th. MJ Moores has traditionally e-published 2 non-fiction industry guides and 1 marketing guide. 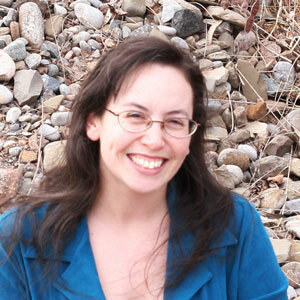 She is currently working on her second Rom-Suspense and her first steampunk serial. Her writing articles have appeared in Authors Publish Magazine, Indyfest Magazine, Easy Writer, and in the Writers Guide: The Writing Spiral published by Sunshine in a Jar Press. MJ taught high school English, was a genre writing coach, freelance writer and currently edits for DAOwen Publications (Ontario). She loves nothing more than helping writers through this crazy journey. Preregistration ends June 7th, 2019. WCYR meetings are strictly for ages 18+. Teens from grades 7-12 are welcome to join our youth group at wcyork.ca/writenow. Pre-registration is mandatory for this event. No walk-ins will be allowed. Cancellations with a full refund will be accepted up to 24 hours before the event. If you need to cancel your registration, please contact meetings@wcyork.ca. By clicking “I accept” you are confirming that you accept these terms and conditions. Subscribe to the Easy Writer Blog! Gearing Up for the York Writers Conference – with Terry Fallis! WCYR Member Perk: Book Selling Opportunities!